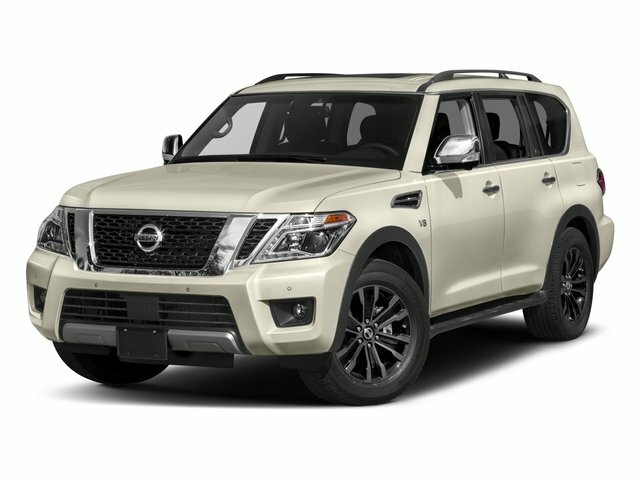 The 2018 Nissan Armada is a large SUV that offers a powerful engine, exceptional capability, and an attractive, spacious interior. Many technology and safety features make it even more appealing. Drivers in Philadelphia, Lansdale, and Doylestown can find out more about the 2018 Nissan Armada with our in-depth review. All Armada models come with a 390-horsepower 5.6L V8 engine. This engine is strong and powerful, with quick acceleration for passing and merging. It transfers power to the front wheels or all four wheels through a slick 7-speed automatic transmission. The Armada is a large, heavy vehicle, but that size isn’t reflected in its driving manners. It has sharp cornering and a smooth ride, as well as remarkable composure through turns. Unlike many of its rivals, the Armada can also tow an impressive 8,500 pounds, which is enough for most recreational vehicles. With its second-row bench, the Armada seats eight people, though that capacity drops to seven with the available second-row bucket seats. The seats are firm and supportive, offering plenty of all-day comfort for its occupants, and there’s ample headroom and legroom in all three rows. High-quality upholstery, a quiet cabin, and an array of available convenience features enhance that comfort further. With the second and third rows folded, the Armada boasts 95 cubic feet of cargo space in its expansive cargo bay. This is more than enough space for luggage, sporting equipment, or even some small furniture. The Armada comes standard with satellite radio, Bluetooth® connectivity, an 8-inch infotainment system, voice commands, navigation, four USB ports, and a 13-speaker Bose® sound system. This impressive number of technology features is surprising for base level, but several upgrades are available as well, including a dual-screen entertainment system for the rear seat. The Nissan infotainment system features physical controls for redundant functions, an easy-to-use interface with a straightforward menu, and the ability to pair with many third-party apps. Safety is important for a large SUV, and the Armada doesn’t disappoint. It comes standard with a rearview camera and parking sensors, but advanced safety features like a surround-view camera, Backup Collision Intervention, Automatic Emergency Braking, Forward Collision Warning, Lane Departure Prevention, and Blind Spot Monitors are all available. The Armada has great outward visibility and is highly maneuverable for its size, but all these features help you stay aware of any obstructions around your vehicle or in your path. The parking sensors, surround-view camera and backup feature are quite helpful in crowded parking lots or backing onto the street, while features like Lane Departure Prevention and Blind Spot Monitors ensure you’re safe around town and on the highway. Large SUVs have a lot to offer their buyers, and the 2018 Nissan Armada delivers on these promises. With the lively performance, impressive towing capacity, spacious interior, and cutting-edge technology, the Armada is a great choice for a practical SUV. Drivers in Philadelphia, Lansdale, and Doylestown can explore the 2018 Nissan Armada in person by visiting Montgomeryville Nissan. Call or contact us today to schedule your test drive!